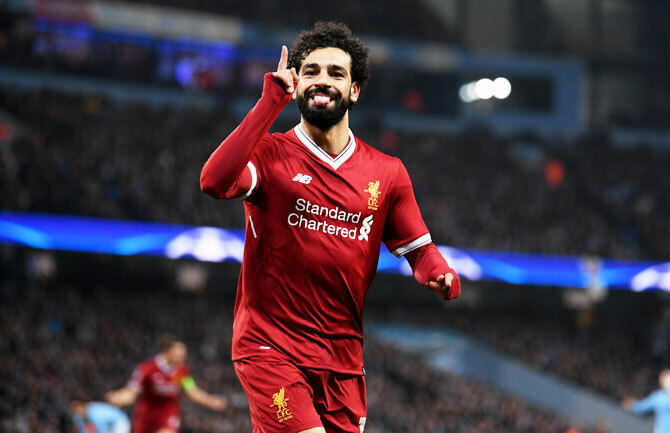 Ramzan Kadyrov, the Kremlin-backed head of Russia's southern Chechnya region, hosted a dinner in honour of Egypt's football team and presented the Liverpool star forward Mohamed Salah with an award, the Chechen leader's press service said on Friday. Rights groups and Western governments allege that authorities in Chechnya repress their political opponents, discriminate against women and persecute sexual minorities, all allegations that Chechnya's leaders deny. The region is not hosting any matches during the World Cup but the Egyptian national team is using the Chechen capital, Grozny, as their base between tournament matches. Salah has already been photographed alongside Kadyrov during his stay in the city, drawing criticism from human rights activists who say his actions are tacitly endorsing the actions of Chechnya's leaders. "This night I signed a decree conferring the great footballer, and member of the Egyptian team and Liverpool, a distinguished title," Kadyrov was quoted as saying. "At a gala dinner, which I gave in honour of the Egyptian team, I handed Mohamed Salah a copy of the decree and a badge. This is a deserved title!" The Egyptian Football Association did not immediately respond to a request for comment.